Youkobo Art Space is currently accepting applications for its Artist-in-Residence Program in 2018. Various residency types that cater to different needs are on offer, either suited to artists who wish to concentrate on work in the studio, or realize an exhibition during their stay, or a living space for researchers and writers who don't require a studio. Since establishing the AIR program in 1989, Youkobo Art Space has been host to a diverse range of activities developed by approximately 300 artists from 39 different countries. In addition, Youkobo also actively supports Japanese artists by providing a venue for presentation and opportunities to stay and work overseas. As a hub for domestic and international artists, Youkobo is a place where exchanges between people of different cultures occur naturally, leading to lasting connections between those who participate in our programs. The facilities for stay and production are situated in a quiet, residential area of Tokyo, a locale where the participating creators will surely be able to observe the daily lives of local residents. With Metropolitan Zempukuji Park located nearby, it is an area with a rich natural environment while also conveniently located to allow access to the center. 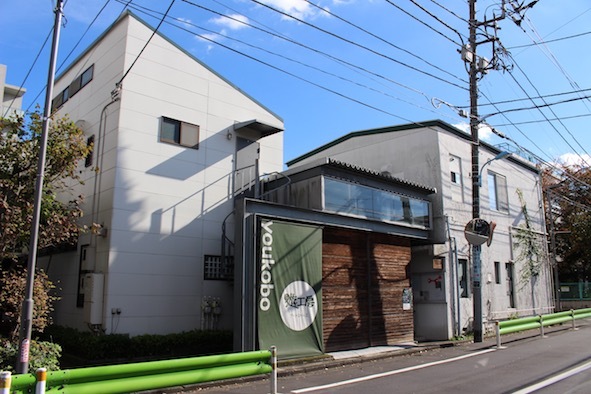 With a private living space and studio (which also functions as exhibition space) that annexes the main building, Youkobo offers a comfortable living environment for artists wishing to stay for long-term periods in order to develop self-led activities. Residencies must be for a minimum of one month and can be as long as six months. Longer periods of stay may also be possible with prior consultation. With up to three artists/artist units staying at any one time, Youkobo is a place where one can connect with other creators working in different fields within the art world. Artists with families are also welcome to apply, but there are limitations in terms of residence spaces we can offer. Applicants wishing to participate in the AIR program are required to pay their own expenses. Eligibility: There are no preconditions for acceptance in terms of field of artistic activity, age, nationality, etc. There are, however, limitations in terms of the facilities Youkobo offers. Please refer to the above link for details. AIR-1: A comfortable Japanese-style living space with studio accessible from inside. Most suited to long-term periods of stay. AIR-2: A spacious studio with an adjacent living space, suitable for work in the studio. AIR-3: A western-style living space with a studio located in the adjacent building. Most suited to artists wishing to hold exhibitions. Residence 3: Suitable for researchers, writers and artists who don't require studio space.